This pregnancy feels real now that I'm exhausted, nauseous and constantly hungry. Though I feel pretty rough, Leo and I couldn't be more excited for Baby #2! Running this week has been a challenge. The dog and E in the jogging stroller have been my running partners most days and we are moving at about 9:30/mile. That's a big change since the Wild Hog Half only 3 weeks ago! Though my pace has slowed drastically, I am thankful to be out and moving. Exercising helps so much with the pregnancy symptoms and there are many benefits for you and baby. Oddly enough, even my nausea fades a little while I run. 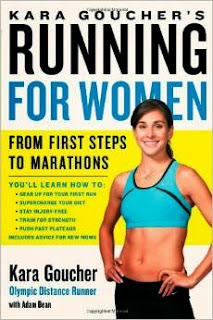 Running for Women by Kara Goucher is another one of my favorite running-related books because it covers a topic that has been taboo for so long - running while pregnant. There is a lot of misunderstanding with physical activity and pregnancy so it's nice to take in valid information. Reduce backaches, constipation, bloating, and swelling. Prevent or treat gestational diabetes. Improve your mood and your posture. 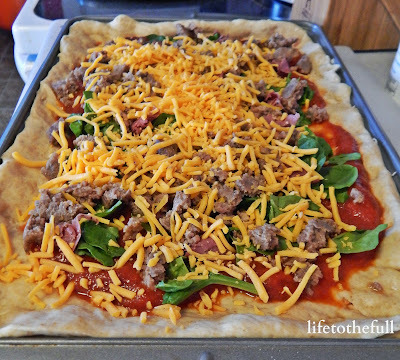 Improve muscle tone, strength, and endurance. Improve your ability to cope with labor pain. With my first pregnancy, many people had the "deer in headlights" look when they learned I was running at 30+ weeks pregnant. Now had I been sitting on the couch eating an entire package of Chips Ahoy cookies, they would have had no problem. A little backwards, isn't it? Those people often mean well, but their reactions can be very discouraging. Exercising while pregnant is actually good for you and baby. The key is you do need to listen to your body extra closely and stay hydrated. Be sure to check with your doctor or midwife before you begin a new exercise program. 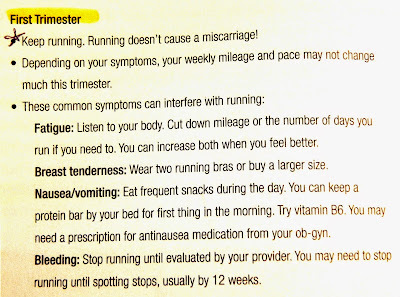 Here are a few tips for running in the first trimester from Kara's ob-gyn, Robin Barrett, MD. Dr. Barret is an avid runner and marathoner herself! 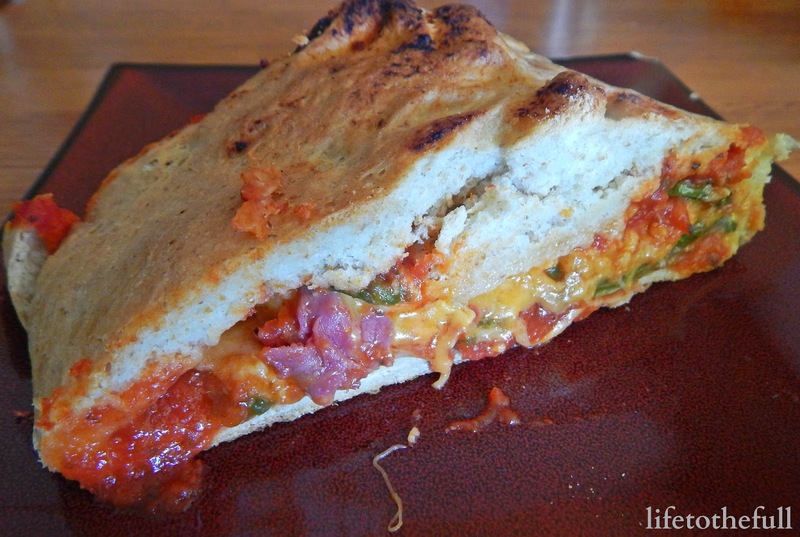 In a time when I'm always hungry yet nothing sounds good, this pizza pocket really hit the spot. That entire gigantic pizza pocket is now gone after Leo, Uncle Bug, E and I devoured it for lunch. During these first trimester weeks, I'm taking it one day at a time, resting when I can and drinking water like there's no tomorrow. My miles are slower and mileage is lower but slow miles still count! What keeps you motivated to exercise? 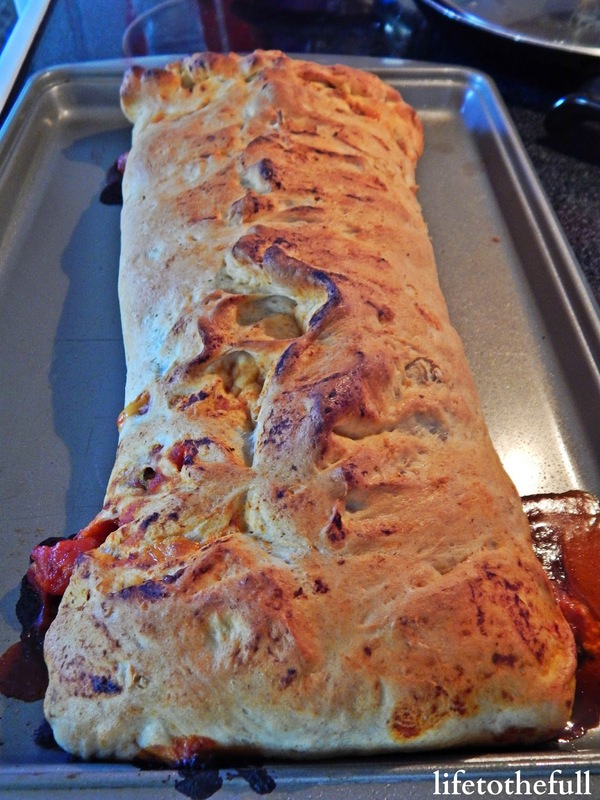 Have any tomato recipes to recommend? Okay so 1.) I want that pizza pocket! So I can have the same face as Eli after I devour it! 2.) This is incredibly helpful for my God willing future :) Thanks for the post! 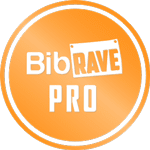 I had a hard time running in the 1st trimester but 2nd has been so much better! 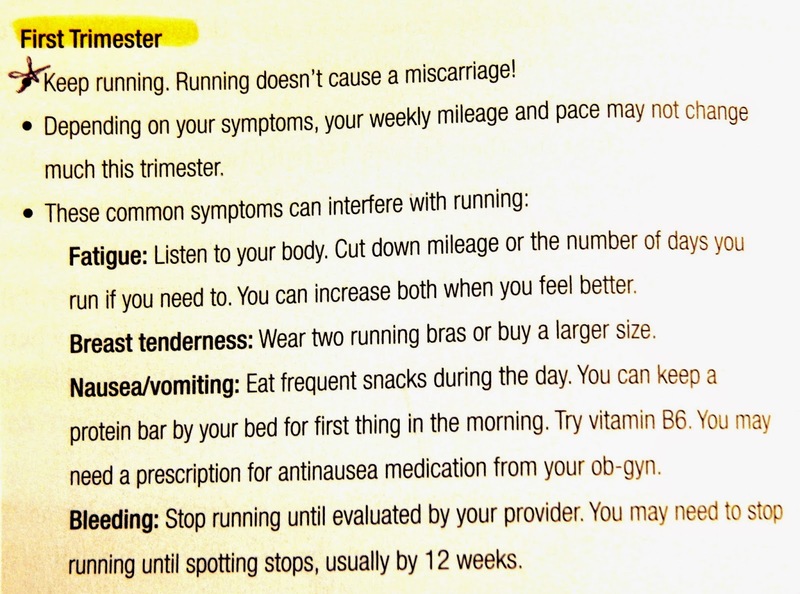 I agree - the 2nd trimester is my favorite! E's grin is so cute!! I'm fortunate that most of the time I stay motivated to workout. If I'm not motivated it's for a reason and I take a day or 2 off. That's great, Jill - it's key to stay motivated but to know when your body just needs rest, too!